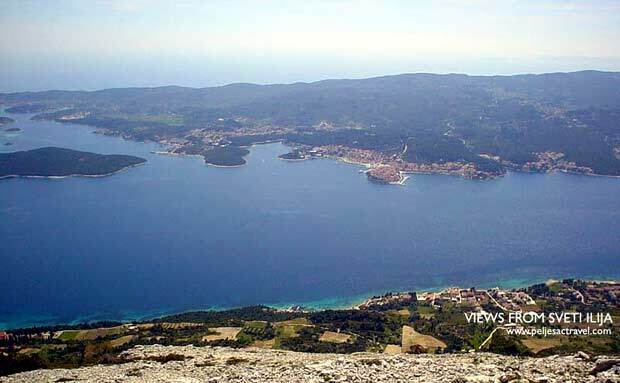 Above Photo: Sveti Ilija Mountain viewed from Bilin Zal bay on the north coast of Korcula Island near Lumbarda, with islands Skoji of Korcula Archipelago in between. 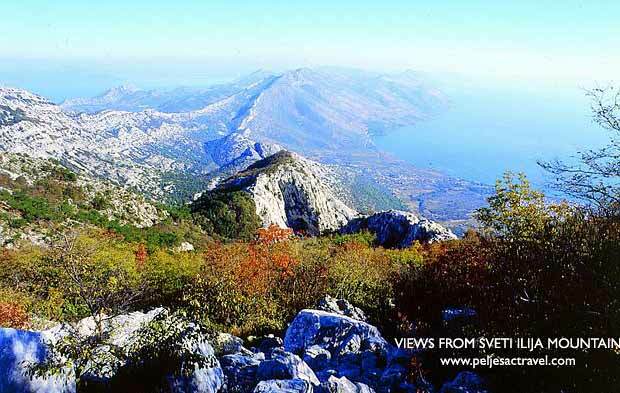 Sveti Ilija is popular hikers and walkers destination. There is an old tradition of local people to climb the Mountain which dates long before tourists arrived in these areas. 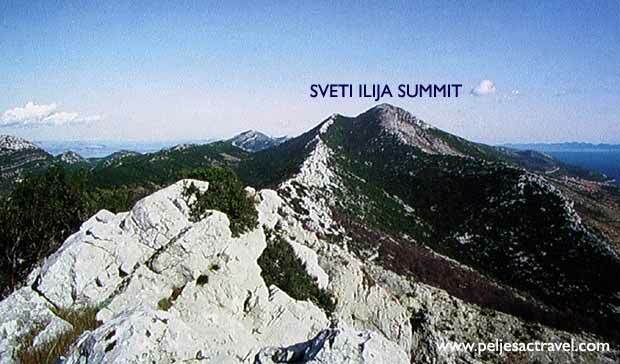 There are a couple of well-known routes to reach the summit – one from Nakovana, another two from Viganj and Kuciste, at least two from Orebic (via Bilopolje or Stankovici hamlets), one from Duba just to mention a few. To reach the top of the mountain (that is 961 meters high) takes at least 2 hrs although, in my opinion, to target 3 hrs one way is reasonable. All routes are marked by red-and-white trail markings and a sign.